DETROIT -- The National Automobile Dealers Association suffered a legal setback Thursday as a federal judge in Washington said a dealer must disclose to a consumer whether the consumer is being charged a higher rate because of a negative credit rating -- regardless of whether the dealership assigned the loan to a third party. Even if a dealer doesn't obtain the consumer's credit report, U.S. District Judge Ellen Huvelle ruled, the auto dealer must comply with a stipulation in the Fair Credit Reporting Act that requires a lender to disclose that information and inform the buyer how he can get a copy of his credit report or dispute incorrect or incomplete information regarding his credit. The ruling will give consumers another tool to stop identity theft and fraud, Stuart Delery, acting assistant attorney general for the civil division, said in a Department of Justice statement. "The auto dealer is in the best position to provide this information because the dealer interacts directly with the consumer and establishes the credit terms in the agreement that it enters with the consumer," Delery said. 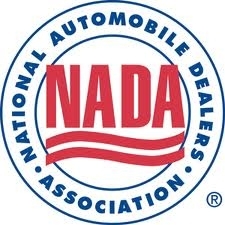 Paul Metrey, NADA's chief regulatory council, wrote in an e-mail that the organization is "disappointed" with the ruling as NADA contends that the third-party financier, not the dealer, should provide the credit information when the dealer does not acquire the credit report. "This decision effectively requires these dealers to purchase credit reports for the sole purpose of populating the Risk Based Pricing Notice or the alternative Credit Score Disclosure Exception Notice that must be given to consumers," Metrey wrote. "Not only does this create what NADA believes to be unnecessary transactional costs on a continual basis, it also increases the flow of sensitive information whose exposure could harm consumers." An NADA spokesman emphasized the ruling simply requires dealerships to comply with the Fair Credit Reporting Act. He said the ruling doesn't necessarily mean dealerships need to tell the consumer why the credit rating is higher. There are two ways to comply with the law -- tell a consumer who's getting a higher rate why they're getting it or the dealership can just give the customer a credit report. Metrey said a majority of dealers acquire credit reports and do abide by the Fair Credit Reporting Act, specifying that NADA's challenge focuses only on the dealers that do not obtain or review the reports. "No one sought to 'exempt' this subgroup of dealers from applicable requirements," Metrey wrote. "Rather, NADA sought clarification on whether Congress imposed this obligation in the first place." Still, the Federal Trade Commission argued that dealers do use information from the credit report even if they don't actually obtain the document. NADA plans to appeal the ruling to the federal court of appeals in Washington.